The extent of the devastating flooding from the torrential rain and gale force winds that have hit Lancashire in the last 36 hours is being revealed. Army trucks have been stationed at a hospital in Lancaster to act as ambulances after flooding cut the city off from the power grid and blocked all but one access route. The hospital has also cancelled all non-emergency operations tomorrow and a number of clinics as emergency services struggle to deal with the scale of the incident. The north of the county - in particular Lancaster and surrounding areas - has been by far the worst hit. From domestic electrical faults to people stuck in cars in flood water, Lancashire Fire and Rescue Service has been inundated with calls for help. A spokesperson for the service said this morning: “In the last 24 hours we’ve had approximately 300 calls, and we’ve attended probably 200 incidents. “Basically, most of the incidents are where people’s houses have been flooded or they have been stuck in cars. “Most of it has been going from one property to another, either rescuing people from cars or to pump out water. “We got to the stage last night where it was difficult, with people asking us to pump water from houses, but there was nowhere to pump it because it was that wet. “In some places where ambulances couldn’t get through, fire engines were taking casualties to Lancaster Infirmary. “In Lancaster, firefighters had two boats which were transferring people through flooding from one side to the other in an emergency. “There was a person floating in the floods seen holding onto a wheelie bin in Caton Street. He added: “As you can imagine, our crews were snowed under last night. “We asked West Yorkshire Fire Service if they could provide us with a boat. They’ve got their firefighters there at the moment, I think about ten firefighters. “Yesterday we had firefighters in Lancaster from Nelson, Blackpool, Fleetwood, Preston and Chorley. “We rescued two people from a home in Garstang. A nursing home was at risk of flooding. Those people who were well enough to move upstairs moved upstairs. We got two people away with the help of the North West Ambulance Service and our crews tried to pump the basement flooded by water. “This morning we are going to lots more incidents. North West Electricity warned today that 55,000 properties in Lancaster, Morecambe, Carnforth and the surrounding area could be without power for a number of days following flooding to a major electricity substation in the area. Flood defences that were upgraded in 2010 to withstand a ‘1-in-100-years’ flood were breached just before 11pm on Saturday. Engineers from the power company are working with Lancashire Fire and Rescue Service to determine when it is safe to access the flooded substation. Only after gaining safe access to the substation can engineers assess the damage and begin repairs. Restoration of supplies could take a number of days for the majority of customers, depending on the level of damage. Generators are currently being delivered to key sites that are determined to be most in need, including a respite centre which has been set up at Salt Ayre Leisure Centre in Lancaster. Another 4,000 properties are without power across Cumbria. Mark Williamson, operations director for Electricity North West, said: “This is an incredibly challenging time for many people and I can assure them that we are working with the emergency services to coordinate the best response we can. “Our engineers have been out since Saturday morning repairing faults on the network and we envisage that most faults caused by wind will be restored later today as we continue to work around the clock. Unfortunately, power cuts caused by flooded substations will take significantly longer to restore. Electricity North West invested £500,0000 on improved flood defences at the Lancaster substation in 2010 to withstand a ‘1-in-100-year’ flood. Its engineers have restored power to more than 13,000 properties throughout the day. Meanwhile, engineers from United Utilities are working around the clock as part of the multi-agency response to Storm Desmond. The company says the floods have had an impact on its infrastructure in parts of Cumbria and Lancashire. Engineers are working hard to maintain drinking water supplies in affected areas. Lancaster, where the widespread power loss in Lancaster following the flooding of the Electricity North West substation has had an impact on some of the pumps used to transport water to customers’ taps. Just over 80 customers are currently without water as a result. United Utilities will be supplying bottled water to these properties. Keswick, where work is under way to get Keswick’s Bridge End water treatment works back up and running, after it was submerged by flood water on Saturday. Engineers have begun the process of restoring the plants’ pumps, and in the interim, giant ‘water on wheels’ tankers are pumping drinking water directly into the pipe network. These efforts are so far proving successful in keeping the majority of customers on supply. Carlisle, where contingency arrangements are being made should possible flooding in Carlisle later today present issues for customers’ drinking water supplies. As regards wastewater issues, a number of United Utilities’ wastewater assets have been affected by flooding, including wastewater treatment works at Carlisle, Kendal, Garstang and Lancaster. Work is under way, often in very challenging conditions, to get these sites functioning as normal. Duncan Smith, director of operational control, said: “We’re working closely with our colleagues in the emergency services, the Environment Agency and Electricity North West to do everything possible to support customers affected by these devastating floods. Customers can call United Utilities 24 hours on 0345 6723 723. In the Chorley PR7 postcode area this morning, United Utilities engineers fixed a technical fault on its water mains network in the area that was causing a problem with customers’ water supplies, which have been restored to the area. The company said: “You may have noticed that the water is coming out of your tap slower than usual or may have gone off altogether. We have one of our inspectors looking into this at the moment and as soon as we know what the cause of the problem is we’ll let you know. In additon, a leak at the junction of Chorley Old Road and Hillside Crescent, Whittle-le-Woods, was spotted and reported. A team of engineers was due to attend the incident. Rail services have been badly hit by the severe weather. Northern Rail, along with several other train operators advised customers not to travel, as many lines and roads are impassable due to flooding. ·Barrow to Carlisle (the Cumbrian Coast). ·West Coast Main line North of Preston. The operator says the situation is likely to continue for the remainder of the weekend. Northern Rail has issued advice not to travel in these areas today, Sunday. It says in most cases replacement road transport is impractical due to the condition of the roads. Those customers who hold tickets dated for this weekend may use them on any day until Monday, December 14. Morecambe Bay Hospitals has called for staff and the public to assist following the storm. Lancaster had not been able to get home or make it into work. As a result of the loss of power to around 55,000 homes, the RLI is operating with the use of its reserve generators. Sue Smith, executive chief nurse, UHMBT, said: “As a result of these unusual and extreme conditions, we are asking our clinical staff who are not on duty to contact us and to let us know if they are able to come in and work at either the Royal Lancaster Infirmary or Westmorland General Hospital. “Our priority is to ensure everyone who uses our hospitals is safe, and whilst we have enough staff at the moment, we do know that a number of staff will be unable to make it in today. She added how the public can assist: “We also require the support of the public to help ease the pressure on our A&E services. “While we will see and treat all patients who attend, please help us make sure our staff are free to treat those most in need, such as those who have a serious illness or injury. “If someone is seriously ill or injured and their life is at risk then 999 should be called. consciousness, breathing difficulties, chest pain, head injuries or severe bleeding that cannot be stopped. A spokesperson from the North West Ambulance Service (NWAS) said: “NWAS has been operating under extremely challenging circumstances this evening with severe floods in Cumbria and Lancashire preventing access to many parts of the counties. “Despite there being no casualties reported as a direct result of the floods, the Trust declared a major incident just after 5pm (Saturday). “We are working closely with our colleagues in the NHS, Cumbria Police, Cumbria Fire and Rescue Service and other agencies to assist local communities as best we can. “We would ask the public to only call 999 in cases of life-threatening or potentially life-threatening emergencies as it is important that we keep ambulances free for those in urgent need. Because of the road closures, many people will experience delays in an ambulance reaching them. If you have called 999, we will be with you as soon as we can unless we have advised you of any other alternatives. The Environment Agency currently has 18 flood warnings and 13 alerts in force throughout Lancashire at present. This changeable weather pattern can alter quickly – with the zone of rain now over most of Lancashire. The ground is already saturated and with river levels already high and expected to rise further, there is a risk of flooding to people and properties, as well as disruption to roads and travel. Steve Hardy at the Environment Agency said on Saturday: “We have experienced large rainfall amounts and we’re expecting further heavy rainfall over the next 36 hours landing on saturated ground. We expect significant flooding and urge the public to act now. We have issued a number of flood warnings and alerts and will continue to monitor river levels throughout the day and will update warnings and alerts as the situation changes. Throughout the day rivers have burst their banks, gigs have been cancelled, events scrapped and popular venues closed as Storm Desmond hit the region. Lancashire fire crews warned drivers of the risks of driving during the storm on social media. Earlier in the day on Saturday, parts of the Guild Wheel were closed and Brockholes Nature Reserve, next to the M6 at Samlesbury, had to close for the day due to a flood warning for the nearby River Ribble. The road to the popular visitor centre was completely underwater. Flood warnings are in place around the county and a major incident has been declared in neighbouring Cumbria after the rivers Eden and Kent both burst their banks. Many of Cumbria’s roads are blocked or impassable due to flooding and widespread surface water. In particular roads around Keswick and Kendal are blocked and motorists are being advised not to travel in or out of those areas. People in parts of Appleby and Keswick have been evacuated from properties and other residents have been advised to consider self-evacuating to stay with family/friends, or to visit their local reception centre for advice and shelter. If you decide to self-evacuate, please inform your family and friends where you are going, and that you are safe, to avoid concerned relatives contacting emergency services. The Met Office has issued a yellow weather for wind warning, in place from midnight on Saturday until 6am on Sunday. Gusts are likely to reach 60mph, with forecasters warning of possible travel disruption on roads. Sarah Leach, entertainments and communications manager for Brockholes, said: “It’s where you drive in at the bottom of our reserve. It’s like a low point on the river and the water’s come across the road. “We’re on the Environment Agency’s red flood warning. She said some people had turned up to visit this morning, only to be turned away. “Just a few really, to be honest, because we made a decision quite early and have done Radio Lancashire this morning and that’s done the trick,” she said. She said she was expecting it to be business as usual tomorrow, though. The Crafty Vintage Late Night Markets at the reserve was also a victim of the weather as it too had to close for the rest of today. Laura Johnson, co-founder of the event, which attracts thousands of visitors to the area, said stallholders were informed when they turned this morning. She said: “It’s just postponed today due to the bad weather. It will be open again tomorrow when the forecast is for blue skies and Father Christmas will be there and Crafty Vintage will be in full steam. The event, which was postponed on the advice of the nature reserve, will be open from 10am until 4pm. The markets feature live entertainment, magic shows, free face painting, a pop-up cocktail bar, an abundance of artisan and street food, together with an eclectic mix of handcrafted gifts, vintage wares, antiques and collectibles. The 2015 Ribble Valley Christmas Fair at Hawkshaw Farm, Clayton-le-Dale, near Blackburn, which opened on Friday had to cancel for the weekend. The fair was to showcase more than 50 top small business owners from the Lancashire area, with food, drink, arts, crafts and well known produce including Christmas decorations and gift wrapping ideas available. Organiser displayed a message on its website saying: “With absolute regret, due to the extreme weather we are all dealing with in Lancashire, we have decided to cancel our event for the remainder of the weekend. All tickets for today and Sunday will be refunded once we can get everyone off site safetly. Thanks to all those who have supported us throughout, It’s the toughest call but safety is everything. We are slowly calling all performers, demonstrators, staff and other personnel, so please bear with us”. In Preston on Saturday morning, Eastway was closed at Watling Street Road and there was a large flood outside St Clare’s Catholic Primary School, Sharoe Green Lane, Fulwood. Firefighters dealt with flooding on Garstang Road, Preston, after receiving a call at around 10.50am, and they attended an incident on Woodplumpton Road, Preston. Part of the Preston Wheel 21-mile cycle path around the city was closed due to flooding. Elsewhere, in the north of the county, firefighters have tackled flooding on Six Arches Lane, Scorton, Dunsop Road, Whitewell and Main Street, Hornby. The Environment Agency North West tweeted that the Garstang Basin was operated and filled to relieve pressure on River Wyre to protect Garstang and St Michael’s today. Firefighters used a portable pump to remove the water and called in the utility company to isolate electrical circuits affected by floodwater at commercial premises on North Road, Lancaster, at around 5pm. Also in Lancaster, two cars with their occupants stranded in floodwater were rescued uninjured by firefighters, who received the emergency call at around 5.50pm. Shortly after 6.30pm, crews rushed to a car stuck in flood water in Hollins Lane, Forton. Electrics were affected by flooding on premises on High Street, Garstang. Firefighters attended just after 6.30pm. The same problem affected Main Street, Lancaster, just before 7pm. 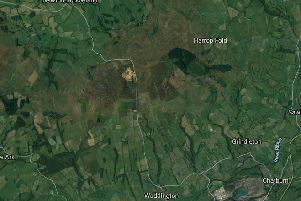 In the village of Priest Hutton, just outside Carnforth, firefighters went to a property where electrics were affected by flooding on Upphall Lane, at around 7.15pm. And they dealt with another car stuck in flood water on Denny Beck Lane, Quernmore, just outside Lancaster, at around the same time. This evening United Utilities said it was investigating water supply problems in the Lancaster postcode areas LA6/LA2. The company tweeted and told customers on its website: “You may have noticed that the water is coming out of your tap slower than usual or may have gone off altogether. We have one of our inspectors looking into this at the moment and as soon as we know what the cause of the problem is we’ll let you know. The EA currently has 12 flood warnings and 17 alerts in force in Lancashire. The Garstang Basin, which was filled to relieve pressure on the River Wyre to protecting Garstang and St Michaels.